Grevemberg House is proud to showcase its collection of period portraits of prominent local citizens; many thanks to our generous benefactors who have made this collection possible. Born in 1833, Anne was the daughter of the wealthy planter Winthrop Sargent Harding and his wife Frances Elizabeth Conrad. In 1855, she married her first cousin, William Taylor Palfrey, Jr., and was a widow by 1860. Her only son, Winthrop Harding Palfrey, was blind, and gave his mother’s portrait to his reader and friend, James Eaton Stansbury, the great-uncle of the donor. 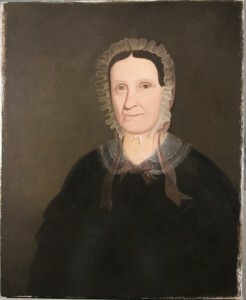 This portrait was probably painted in 1856 while Anne was in mourning for her father, and is attributed to artist William Henry Baker, a New York native who worked in New Orleans in the mid-19th century. 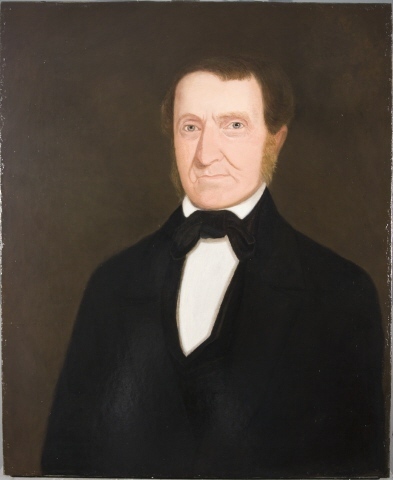 Gift of Rowland E. Caldwell, Jr.
(1783 – 1849) This important early planter was born on Bayou Nezpique in the Opelousas county (present day Evangeline Parish), Louisiana, and came to St. Mary Parish as a young boy around 1798. In 1812, he married Phoebe Armstrong, and they became the parents of eight surviving children; their plantation was on Bayou Sale. His obituary in The Planter’s Banner reads in part: ” His character, feelings, thoughts, affections and deportment were those of a genuine Creole — a better specimen of a noble Creole never trod upon the soil of St. Mary, and never will”. 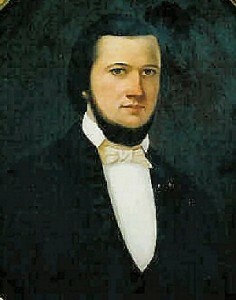 Unknown artist, circa 1840. 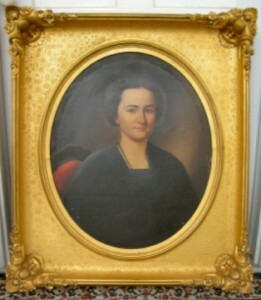 Gift of Mr. & Mrs. Torger S. Brown, Sr.
(1789 – 1846) Phoebe was the daughter of John Armstrong of Ireland and Margaret McCormick of Scotland. 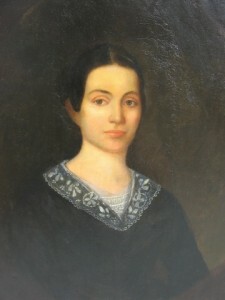 Her 1812 marriage to John Joshua Garrett began a two-hundred year legacy in St. Mary Parish. The Garrett-Berwick family cemetery survives on Bayou Sale, site of her family’s numerous plantations. Attesting to the artist’s lack of formal training, her features show a remarkable similarity to those of her husband, and while intended to be hung together, they are not a true pendant pair in that the sitters both face the same direction; these charming naive portraits were probably painted circa 1840 by an itinerant artist. Gift of Mr. & Mrs. Torger S. Brown, Sr.